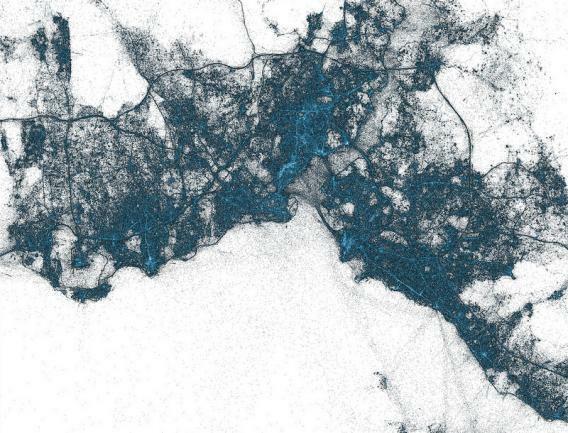 Geography of tweets: Can you identify a city based on a Twitter data visualization? 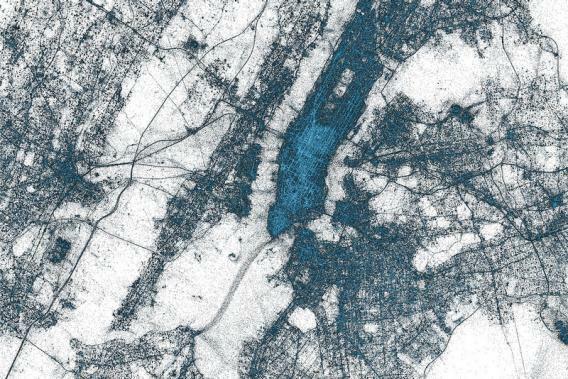 Can You Identify a City By Its Tweets? A Twitter Map Quiz. A tweet map of America. Visualization by Miguel Rios / Twitter, Inc. Used with permission. Earlier this week we showed you a map of the world’s flight paths, which was remarkable for the way you could trace the outlines of continents based on all the routes between coastal cities. 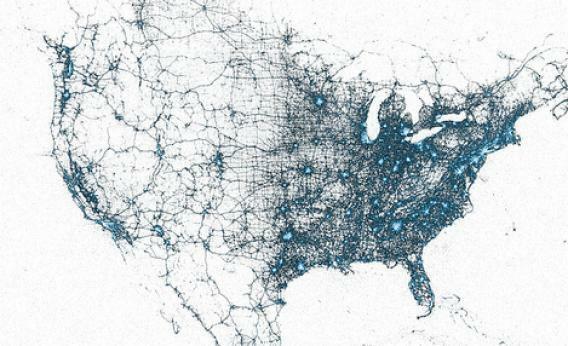 Today via Twitter comes a data visualization that gives you a far finer-grained look at the world’s human geography: a map of all the geotagged tweets sent since 2009. They number in the billions, and the picture they paint is a striking representation of exactly where people are when they’re using the Internet. For the most part, they’re pretty much where you’d expect: Clustered in the world’s financial and cultural centers. 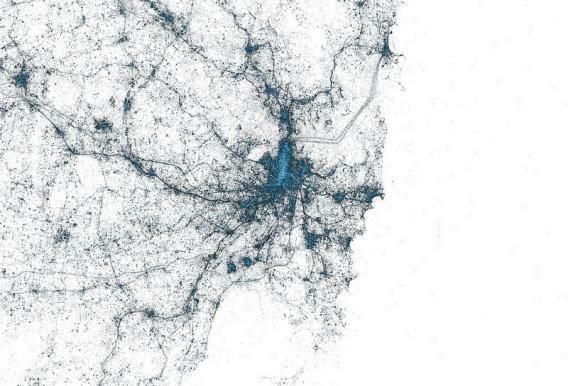 But what makes the maps most interesting is the degree to which tweets are also clustered tightly along major transportation arteries. Rivers and bodies of water, meanwhile, are mostly devoid of tweets, making them easily identifiable as well. 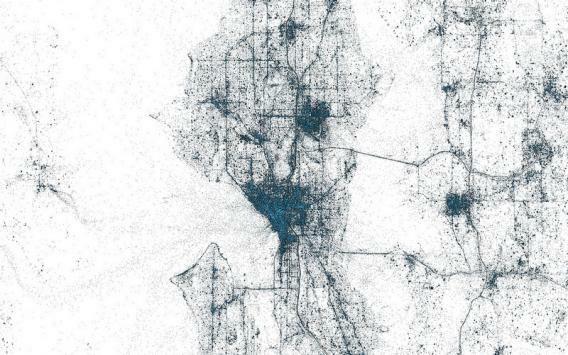 A tweet map, it turns out, is not so different from a road map. 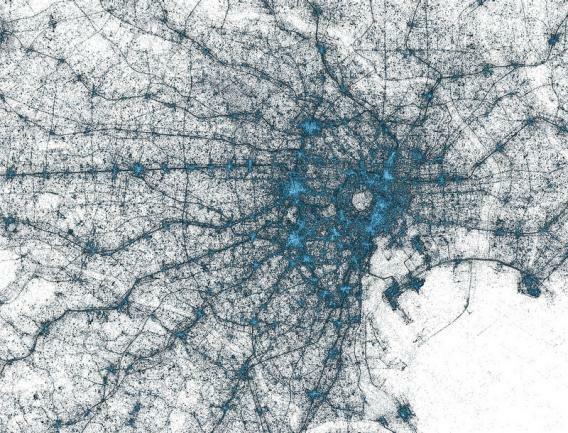 The result is a set of images that will be instantly familiar to people who have studied maps of the places they represent, but in some ways more illuminating, since they actually map human activity rather than just infrastructure. Here’s Europe, with London, Paris and Moscow burning bright, and major arteries like the road from Moscow to St. Petersburg clearly defined. 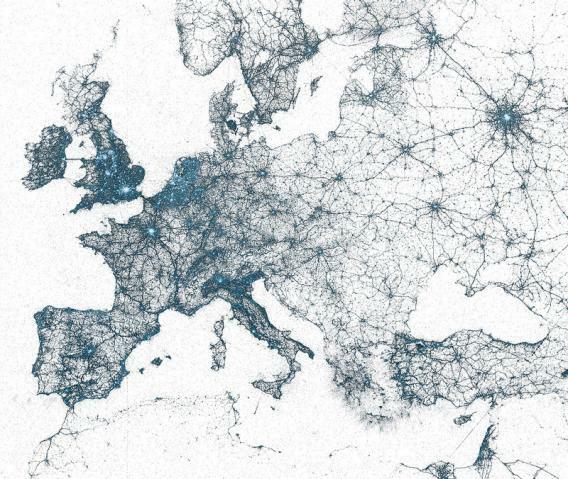 Major roads, like the one from Moscow to St. Petersburg, are identifiable based on the concentration of tweets sent from there. Cities are a little harder unless you’re intimately familiar with their layout, but I bet you can guess at least a couple. See if you can identify the ones below—then check the answers at the bottom. Twitter visual insights manager Miguel Rios has a blog post on the visualizations, and the full image set on Flickr is worth exploring.